Recruitment is only half the battle. Patient retention is the deciding factor in making clinical trials successful; data cannot be included in the analysis without participants reach specific endpoints in the study. Yet, it is also one of the most difficult aspects of a study, with dropouts creating significant problems for study reporting. Study volunteers want research projects to be helpful for themselves and others, but convenience is also key to ongoing participation. Mosio makes retention easier, offering interactive text message alerts and reminders to guide participants along their study path. Two-way communications offer support to make studies more accommodating by incorporating incentives, rewards, and other ways to encourage and motivate participants for their involvement. Study participant engagement, accessible on every mobile phone. Study volunteers are busy living their lives when they aren’t participating in your study. 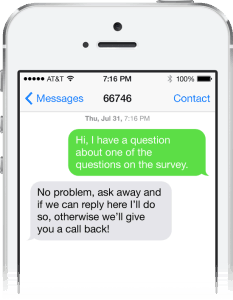 The high mobility of the average person makes text messaging the best tool for communicating with volunteers on the go. With Mosio’s Storyline Alerts™ feature, messages can be scheduled individually based on a participant’s specific enrollment date, giving you the flexibility to recruit and enroll without the stress of starting everyone at the same time or even in phases. Storyline Alerts™ is our most popular feature for engagement and retention as they enable you to schedule timely alerts, reminders and surveys, deliver motivational messages, send incentives and collect feedback from participants before, during and after your study. Storyline Alerts™ also allow you to add gamification elements to your study, providing you with more tools to make your research engaging, rewarding and fun. Designing a study to be “participant-centric” means starting with understanding the patient experience and how the study will work in the participant’s lives. Volunteers need to feel comfortable and informed throughout the study, which requires two-way communications and offering support when they need it. 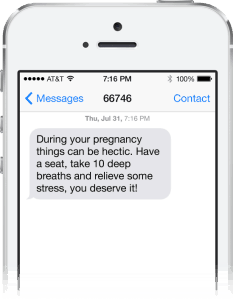 With Mosio, not only can participants ask questions via text messaging to be answered by study staff, but you can also provide encouragement for participants to continue studies by using our secure, web-based dashboard. Mosio’s Two-Way Interactive “TextChat” Messaging is available as a real-time communication between volunteers and researchers, providing an easy platform for patients to contact study staff. This way, questions, feedback and check-ins can be provided, recorded and responded to as quickly as possible. In successful studies, there is a mutual give and take; incentives aren’t enough. It has been proven that providing participants with education about living with a disease/condition or providing encouragement via text messaging as the study progresses is the best way to keep them engaged and actively involved, getting more from their participation. The Mosio team is able to assist you with the types of messaging, timing and tone of speaking for your study participants to get the most out of your communication efforts.